When you use the email facility in the application the recipient will receive a link to open the record in their internet browser. 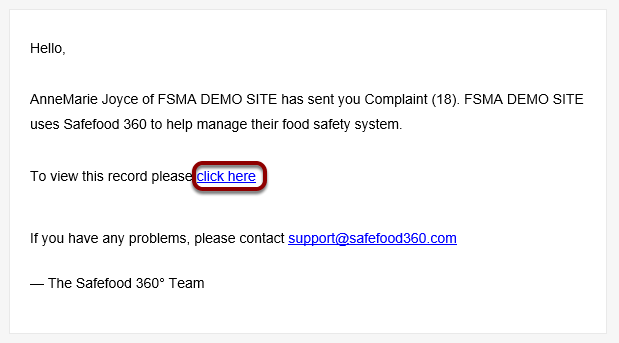 Note that you can email a record to anyone, even if they do not have a Safefood 360 account. For email recipients that do not have a Safefood 360 account they will only see a secure web page containing the record and they will be unable to access any other part of your system. Enter the persons email address. If you wish to enter multiple email addresses you can separate them with a comma. You can specify your own subject line. You can choose to send a link to the record, attach a PDF copy of the record, or both. If sending a link to the record the recipient will need to have a Safefood 360 user account in order to access the record from the link. You can change the message body from the default message. You can also send a copy of the message to yourself. 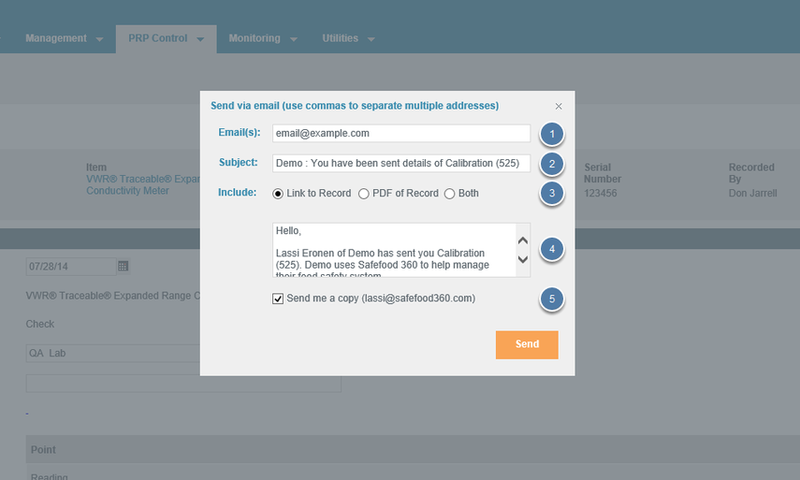 Recipient only needs to click the link in the email to view the record you have emailed. A new 'print-friendly' page will open as well as a print window. Click print again to print the document. You can download a perfectly presented PDF of every record, programme and entity in the application. Click 'Actions > Get PDF'. Open or save the PDF on your computer.